Walking into the John Paul II Institute for Marriage & Family for the first time for the launch of the book with a very long title, ‘Justice Unity and the Hidden Christ: the Theopolitical Complex of the Social Justice Approach to Ecumenism in Vatican II’ by Matthew Tan was a little out of the ordinary. Perhaps I am not ‘one of the usual suspects’ in attendance. You see, I have spent a good proportion of my life working for social justice from a Christian perspective, drawing particularly from Catholic Social Teaching and working for a significant period, until recently, within a Reformed denomination. This work has involved engaging in coalition with non-Christian groups that share a common concern about issues relating to poverty and injustice and advocating under a common banner. It often requires using accessible language which is acceptable to a wide range of people concerned with social issues. Perhaps it was people like me that Dr Connor Sweeney was referring to in his launch of the book, i.e. those who ‘cloak … [Christian] claims in the idioms and framing of secular discourse’. Once we realized that Modernity was in fact always a particular narrative account of the person, and not simply some distillation of universal human values from a neutral point above culture and tradition, the whole project of correlating Christianity with Modernity descended into crisis, something that thinkers of all stripes and colours have recognized in the past few decades. Indeed, ‘thinkers of all stripes’ have come to this conclusion, including those mentioned by the author Dr Matthew Tan at the launch: a late theorist with a penchant for sado-masochism arguably laid some of the groundwork; and a Slovenian Marxist, as well as a prominent Anglican theologian have been making waves with their analysis and critique (these would be Michel Foucault, Slavoj Zizek and his sometime sparring partner John Milbank). While Dr Connor sailed a little too close to a hermeneutic of discontinuity in his analysis of the changes in the Church pre and post Vatican II in my view, I thought his speech was the best I have heard of its type. Clearly, Dr Tan is held in very high esteem by the JP II Institute. That’s got to be a good thing because after all his middle name is ‘John Paul’. The focus of the book is to investigate the nature of Christian action. This focus prompts some key questions. What are the differences between Catholic action, ecumenical Christian action and when Christians act with non-Christians? What happens when this work for social justice is underpinned by the concepts of liberal modernity? Does this matter? These are very important questions to ask. a yes/but sort of claim, in the sense that social justice can build greater Christian unity; however, that is dependent upon a whole range of un-articulated claims, institutions, practices, that form the social and cultural and political contexts within which the act of social justice takes place. In relation to Christian engagement with political economy and civil society these are important issues to unpack. Dr Tan is making a play to get these hitherto ‘un-articulated claims’ out in the open and his critique will appeal to as much as it will challenge those from across the political spectrum who are engaged in Christian action. In both his blog (The Divine Wedgie) and in person, Dr Mathew John Paul Tan is a dry, self-deprecating presence. Describing himself as a bit of an outsider without a ‘polis’, his experience of being a ‘South East Asian Catholic’ in Australia, originally from Singapore, has gifted him a certain self-described ‘angst’ fueling his writing. Dr Tan puts this outsider angst to good purpose. He gets underneath the tiresome secular vs religious divide and is slowly re-framing the debate. Dr Tan does this by following on from the critique of John Milbank to make the point that the more liberal modernity tries to ‘cleanse’ the religious from the public square, the more quasi-religious our so called secular space becomes, via what he describes as ‘smuggled theological claims’ entering our discourse. Examples cited by Dr Tan included sporting participants being described as ‘Gods’ by Fox Sports, and engagement in war being described as contributing to ‘something greater than ourselves’. So far Dr Tan has articulated the problem well. There is some way to go to practically find a way forward for a range of Catholic and other Christian groups to speak and act in the public sphere with integrity in new ways without being misunderstood and/or needlessly politically marginalised in the process. He is wisely not calling for Christendom mark II. I think he is, however, calling for the realms of Christian worship (leitourgia/doxologia), communion (koinonia), proclamation (kerygma), service (diakonia), witness (martyria) and teaching (didache) to cohere (go here for an interesting ecumenical dialogue about these terms). For a fellow with a humorous glint in his eye and ability to fire off some good one-liners, he has a seriously long title for a book (perhaps it was apt for his PhD); but don’t let that put you off. This is a very important work for Catholics and other Christians concerned for social justice. You can hear Dr Tan talk about the book at his US launch here. You can order a copy here (I ordered a copy via Central Catholic Bookshop in Melbourne). There needn’t be a trade-off between the common good and individual human dignity. The common good aims at ‘the good of all without sacrificing the dignity of the one’. This is very different to the utilitarian approach, where the quote attributed to Stalin springs to mind, ‘to make an omelette you have to crack a few eggs’. Or in the Peter Singer example, let the child drown who is close to you, so you can save the many further afield. This balance between the common good and the dignity of each person is of vital importance when trying to make sense of serious, actual existing, large-scale moral and public policy dilemmas. In Australia, politicians have justified great use of force and harsh treatment of people seeking asylum in the name of saving people from drowning. We are expected to tolerate or even support the mistreatment of the minority for the good of the majority. We make life intolerable for the asylum seeker, to deter more from coming. There are credible reports of violence and sexual abuse in Australian detention centers established off-shore. While it is certain that violence and abuse is not an intended outcome of Australian policy, it is hard to believe that this kind of behavior wasn’t foreseen by policy makers when it was decided to put people in tents in very harsh conditions. These conditions do not bring out the best in human behaviour. The difficulty comes in when we think of proximity. Surely we have more responsibility to our nearest neighbour? Perhaps, but we should also recognise that those countries that enjoy less social problems and greater income equality are also more generous to those abroad. Perhaps it isn’t one or the other (lesser of two evils is still an evil as an old friend said to me once). 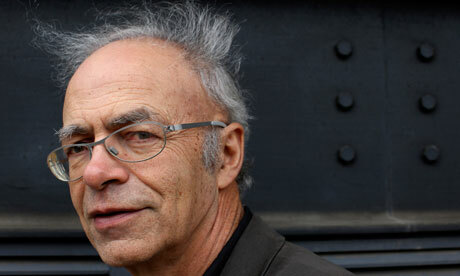 By making the above arguments I’m definitely not claiming that Peter Singer supports mistreatment of asylum seekers. However there is a dangerous logic at play. People are starving at sea who are desperate and stateless. The response from Australia is to turn away. We stop people dying at sea by letting people starve at sea. The greatest good for the greatest number? Things have been busy (not ‘busi’). A not so new job with a lot of challenges. Found out that the old Distribusi URL had been lost and this site needed to be reactivated. So here we are; sans old URL but that can be worked on. Going to the The State, Markets and Civil Society forum held by the John Cain Foundation that featured the inspiring British Labour Peer, academic and community organiser Baron Maurice Glasman (and founder of Blue Labour) made me return to this old site that hasn’t been updated since 2012. 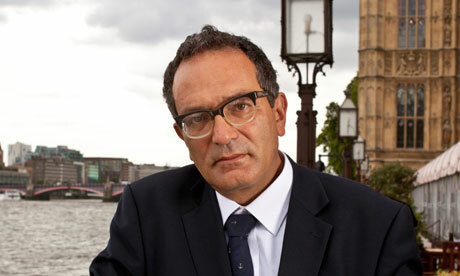 Lord Glasman talked movingly about the necessary recognition of sadness in politics (‘feeling blue’). We often deny death, grief and loss and put our hope in bureaucratic processes but these can’t inoculate us from the reality of conflict and failure. Australia (like the UK) has very high child and adolescent antidepressant usage levels. While it is difficult to figure out causes, could at least part of the problem be our denial of the ‘blue’ in our society (as an aside perhaps the marketing gurus and focus groups now commonly used in the political campaign toolbox contribute to the view that we can ‘have it all’)? It makes you think – when was the last time you heard a politician talk about sacrifice and solidarity for the common good? “Things can only get better”, was apparently the theme song for the UK Labour win in 1997. However, things can get better, worse or we can experience mixed results. This insight informs the reforms being called for by Blue Labour in areas such as governance; having workers, government and consumers in the boardroom may mean some conflict. However, aspects of European political economy, like the example of participatory corporate governance in Germany, are too often ignored even if they are so successful and longstanding. Throughout Lord Glasman emphasised the importance of civil society where courage is required to accept the leadership of the poor; and that we need to ‘stay in the room’ with a variety of people who won’t necessarily agree with us. However it’s not all hard work when we realise that people like to meet (but we easily tire of meetings). He also noted the importance of faith, and referenced the particularly strong links between radical Catholic and Methodist social witness traditions due to their self-organising nature. He referenced proudly his own place in Jewish faith and tradition. The day was rounded out well by former Deputy Prime Minister Brian Howe who passionately spoke about his time in Ministry as a Methodist (now Uniting Church) Minister (peppered with some humour) before entering into formal politics, and the need for engagement with contemporary political ideas (that the John Cain Foundation seeks to foster for the Labor Party in Victoria and more broadly). Hopefully this discussion will be complemented by similar conversations on the conservative side of politics via the best in high Tory tradition. This conference signaled that hope can be found in exploring radical political tradition so as to build common good alternatives to the market state consensus that lies broken since 2008. What was really special was meeting the good Lord himself over an ale. Very humble and personable. No wonder he has been able to work so effectively with diverse communities in the London Citizens movement (now Citizens UK – bit like Sydney Alliance here in Australia). Other highlights of the conference were: listening to some great historical analysis about the radical Labor tradition before the welfare state period by Janet McCalman; and, witnessing the conference being challenged by some good edgy observations from newcomer Daniel Nicholson. The full papers from the conference can be found here. Cardijn Community Australia invites people to a Saturday Morning at Trades Hall for a series of snapshots of the past, present and future of the co-operative movement in Victoria. Cost: $10 (waged) or by donation. From rural communities in Australia to the ‘occupy’ movement co-operatives being formed in the US – something is happening. People are looking to a new way of doing business that is grounded in the democratic and participatory tradition of co-operative enterprise. People at this gathering at Trades Hall will hear brief reflections and commentaries from pioneering co-operative activists and present scholars of the post Second World War co-operative movement. Some cutting edge co-operative start-ups will also be showcased. This review of contemporary co-operatives will be followed by an opportunity to put participants’ ideas in a general discussion. Exciting speakers include: the Hon Race Mathews, author of ‘Jobs of Our Own’, a major work on co-operative history and the mutual economic miracle in the Mondragon region of Spain; and international Cardijn researcher Stefan Gigacz who will speak on ‘Cardijn and the Christian Co-operative Tradition’. Kristen Hobby (local community development advocate), who will facilitate a session on co-operative futures and building a network for local community and enterprise development. Also, the event will feature Dave Kerin from the Earthworker Co-Operative (and Eureka’s Future), a new initiative endorsed by the ACTU to build co-operative enterprise. This event has been endorsed by Creative Ministries Network (a UnitingCare agency). What feels as good as chocolate on the tongue or money in the bank but won’t make you fat or risk a subpoena from the Securities and Exchange Commission? Hard as it may be to believe in these days of infectious greed and sabres unsheathed, scientists have discovered that the small, brave act of cooperating with another person, of choosing trust over cynicism, generosity over selfishness, makes the brain light up with quiet joy.